TRIALOG is a project that was developed in the year 2000 to address the upcoming situation of 10 new European Union member states with new responsibilities in many areas, including development cooperation. The project aimed to support civil society organisations to work together more effectively, form national platforms where there were none, and integrate into the European system of development policy and practice. Fifteen years on, all 13 of the countries that have joined the EU since 2004 have national platforms that are members of CONCORD, the European confederation. There are murmurs of discontent from organisations in countries that no longer consider themselves ‘new’ and even the term ‘EU13’ prompts backlash from those who consider themselves more properly identified as one of the EU28. TRIALOG is a project that has served its purpose – achieved many of its objectives and established a community of partners who will continue to work together long after the project ends. This is not to say that the kind of support that TRIALOG has provided over the years would not be welcomed if it could be continued in some of the partner countries, and indeed others around the EU. That is why we have worked with CONCORD, through the members, to ensure the new strategy safeguards as many areas as possible where TRIALOG work will be missed. Space for member exchange and peer learning is a large part of the new strategy, and will take forward many lessons learned through TRIALOG’s fifteen year experience (collected together in our systematisation process). Our tools have been written down and can be consulted through CONCORDnet. We also hope to share this experience with partners in the Western Balkans in the future. The evening reception paid tribute to TRIALOG’s achievements, history and staff, past and present with speeches of one of the founders, Robert Zeiner via video message, CONCORD president Johannes Trimmel, longterm advisory group member Grzegorz Gruca of Polish Humanitarian Action and HORIZONT3000 director Erwin Eder. In a TRIALOG quiz Rebecca Steel-Jasińska and Ulrike Bey of the TRIALOG team checked how much people in fact knew about TRIALOG. The mood was a little sad that an era comes to an end but at the same time very proud of what we accomplished. We thank all those who came to celebrate with us, and we look forward to seeing you again in the post-TRIALOG world. European media is full of titles such as “Record summer temperatures”, “Hottest July days on record”, “Weather records across Europe” – and then there are daily reports on intensifying floods, fires and droughts. These events are disturbing the everyday life of people and influencing how food is produced, for example, all around the globe. In December 2015, Paris is hosting a climate summit where 196 countries – literally, the whole world – will meet with one single goal: to sign a new global agreement on climate change. 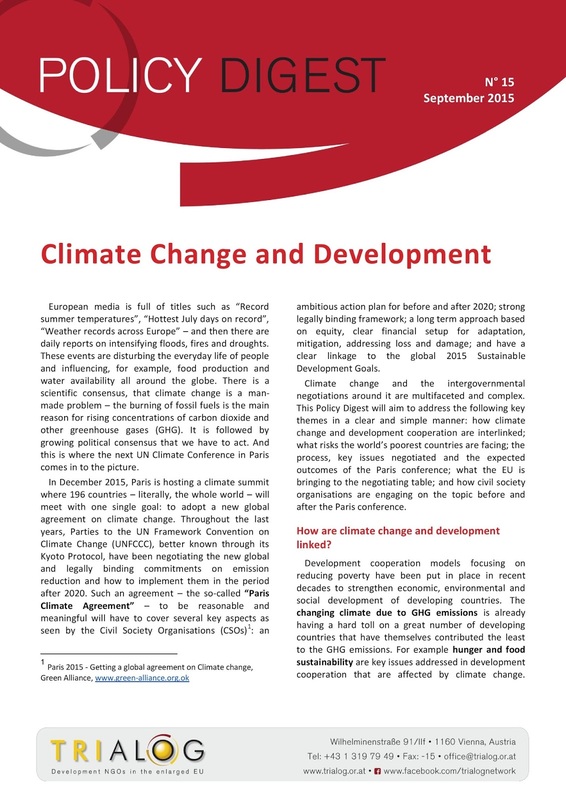 Climate change and the intergovernmental negotiations around it are multifaceted and complex. 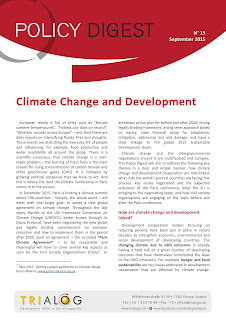 This Policy Digest will aim to address the following key themes in a clear and simple manner: how climate change and development cooperation are interlinked; what risks the world’s poorest countries are facing; the process, key issues negotiated and the expected outcomes of the Paris conference; what the EU is bringing to the negotiating table; and how civil society organisations are engaging on the topic before and after the Paris conference. Read the new TRIALOG Policy Digest here. 2015 is the European Year of Development, the EU’s flagship campaign to promote its objectives and activities in the field of development cooperation. As the sustainable development goals replace the Millennium Development Goals at year’s end, EYD is intended to raise awareness about Europe’s role in areas like education, health, agriculture, access to energy, resilient ecosystems, equality. But where the Commission’s actions miss the mark, we’re there to connect the dots. Bankwatch Romania together with a coalition of twenty civil society groups from 17 countries across the continent, members and partner organizations of CEE Banwkatch Network, is campaigning for ‘Catching the Train of Development’ and providing a critical understanding of Europe’s approach to ‘development’. The campaign focuses particularly on the role of public and private sources of finance and the problematics of financial tools such as public-private partnerships, blending and using ODA (Official Development Assistance) to leverage private finance. Focused on campaigns in priority countries for Romania – nuclear energy in Ukraine, oil and gas in Tunisia and hydro-power in Georgia, Bankwatch Romania works to reduce the environmental and social impact of projects financed through European public financial institutions (European IFIs) such as the European Bank for Reconstruction and Development and the European Investment Bank. Some of these bring to surface inconsistencies between the development goals of the EU and policies in the sectors of energy, extractive industries, transport and agriculture. Bankwatch Romania works to make IFIs accountable, transparent and participatory in the projects they are financing. Furthermore, Bankwatch Romania seeks to build collaboration with Romanian NGOs and Romanian public institutions towards a more thorough analysis of the impact on development goals in priority countries of public multilateral funding and private investments from Romania. To learn more about the projects monitored by Bankwatch and the activities of the „Catching the train or development” campaign please visit www.bankwatch.org. „Catching the train of Development” campaign is funded by EuropeAid and is part of a 3-year project: „Financing development and developing finance for EYD2015: a Pan-European campaign to align European investments in developing countries with the post-2015 MDG framework and the EU policies that promote sustainable growth and poverty reduction”. Are you too a #GlobalNeighbour? 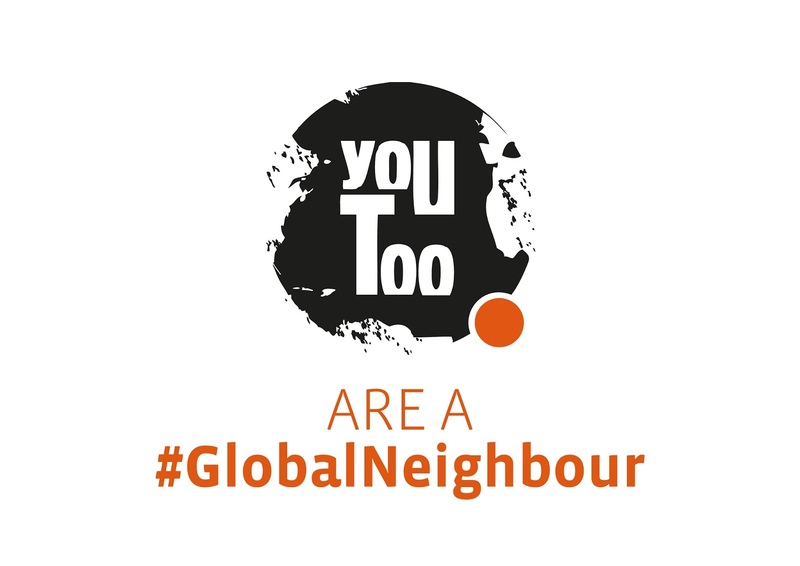 An awareness raising campaign "You too are a global neighbour" is being launched in these days by SLOGA, NGO Platform from Slovenia. The goal is to raise consciousness about international development cooperation and importance of global solidarity in the European Year for Development 2015. SLOGA is addressing questions such as: "What is international development cooperation and who are the actors involved? Why is cooperation important? What are the results of such global policies and what is the input of European Union and its member states? How can individuals join the common journey towards sustainable development and global solidarity? Actions involved in the campaign include educational events, promotional materials and policy papers. Besides, they are organizing a web movement, through which they will collect photos of individuals who consider themselves #GlobalNeighbours. Are you a #GlobalNeighbour? Join their campaign, take your photo with the printed slogan below and share it on your Facebook or Twitter profile! 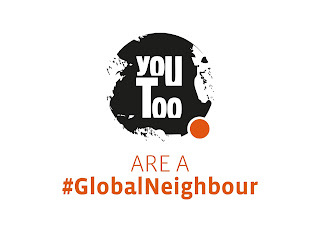 Don't forget to use #GlobalNeighbour and #EYD2015 hash tags! From Monday 14th till Friday 18th of September, FoRS-Czech Forum for Development Cooperation actively engaged in a series of events showing sustainable development-related topics to and discussing them with the public, as part of the platform´s contribution to the European Year for Development. The week started with the launch of The World’s Best News newspaper 2015 on September 14th in Prague and other Czech towns, with a support of up to 80 volunteers. The following day, FoRS and the Environmental Centre of the Charles University in Prague organised the discussion “Democracy in Education through a Dialog of Actors” in the framework of this year´s international Conference Forum 2000. The discussion focused on the various social actors´ points of view and deliberative processes that influence education in the contemporary world. On September 17th, FoRS as well as several member organisations participated in the happening called Czech Development Day organised by the Czech Development Agency under the auspices of the prime minister with the aim to showcase the Czech development cooperation to the broad public. This “action” week was concluded by a panel discussion “New tendencies in evaluations and presentation of their results”, where civil servants, evaluators, practitioners from NGOs and other development actors had the opportunity to share their experience and opinions with international experts as well as representatives of the European Commission and the Czech Development Agency. Over the last months SLOGA is intensively involved in a dialogue with different government officials on the topics of humanitarian aid and Slovenian capacity for a response to an influx of refugees moving on the so called “Western Balkans route”. SLOGA participated in the consultations on the preparation of Guidelines on international humanitarian assistance of Republic of Slovenia in July 2015. The meeting was aimed at exchanging views and suggestions regarding the content of the Guidelines, which should be prepared by the Ministry of Foreign Affairs in the coming months. Apart from that a lot of efforts were concentrated on the question of the growing refugee crisis in the wider region. 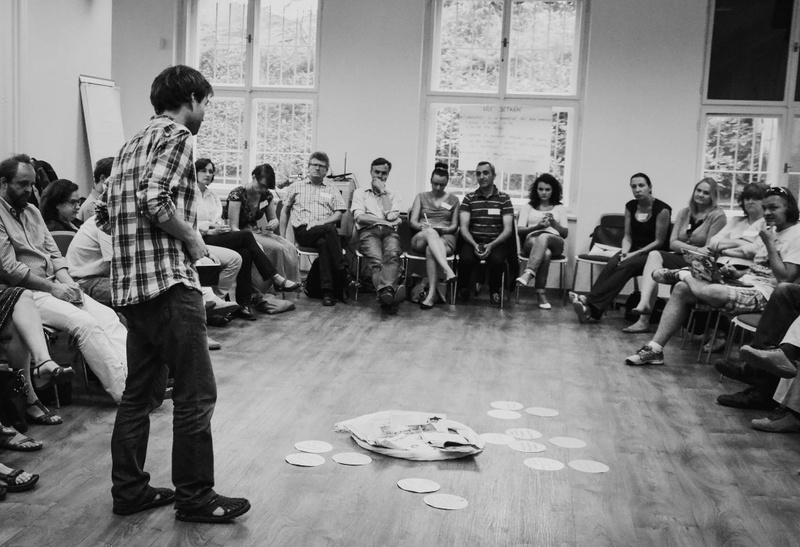 SLOGA is very active coordinating a huge coalition of NGO’s in Slovenia, which is responding to the refugee crisis in terms of advocacy, planning the distribution of humanitarian aid, questions of integration etc. This coalition also sent an open letter to the Prime minister of Slovenia which sparked a direct dialogue with the Government. Operation Center was established, where a representative of SLOGA is also present. The aim of Operation Center is to coordinate response between different actors, and to share information and good practices among them. Apart from ongoing dialogue and advocacy a huge pressure on Government was also exerted before the meeting of the Council of EU for Justice and Internal Affairs. SLOGA intensified its efforts to promote international development cooperation to general public in Slovenia not only with its »Global Neighbour« campaign. SLOGA also organized several events which were aimed at promoting international development cooperation. Thus, several panels and group discussions (called Skuhna Talks) were organized on the topics of positive consequences of migration, gender equality and the role of youth. Aforementioned campaign and its messages were also presented and different workshops were held on several international events such as World Schools Debate Academy in Kranjska Gora, MUNSC Salient: Youth Conference on Global Matters 2015 in Ljubljana, AidWatch platform event in Serbia, and United Nations Summer School in Ljubljana. We also joined the World’s Best News project organized by Ministry of Foreign Affairs and distributed best news on development cooperation in Ljubljana. SLOGA was also present on several public events with the aim to present both the role and work of the platform and its projects as well. Therefore, SLOGA took part at Šuštarska nedelja in Tržič and Bivak festival in Ljubljana. Part of SLOGA’s efforts there were also to gather signatures for petition for a European Year of Social and Solidarity Economy 2018 as a part of Challenging the Crisis campaign. Along the adoption of Agenda 2030 for Sustainable Development Goals, HAND Association targets – through a mini-project financed by the Beyond 2015 campaign – the implementation process in Hungary to ensure that these goals are built in the national framework. Our aim appears essential as there seems to be no clear plan for dealing with the issue on government level. While during the summer we aimed at the public by raising awareness on international development issues at festivals that attracted hundreds of people, in September we try to draw the attention of both government and parliamentary decision makers to the need of adopting the SDGs into the national strategy and implementation plans and to communicate the recommendations of Hungarian NGOs how to best do it. Therefore, a proposal package about the most important steps for national implementation has been elaborated. It also formulates suggestions for the revision of the national sustainable development strategy. The proposals will be discussed not only among our member organisations, but at a wider scale of NGOs before having it published and presented for decision makers. In the past months we have managed to reach a higher appearance in several media, as well we used social media extensively (Facebook and Twitter). We intent to put more emphasis on our media activities in regard to build political leadership. Hopefully after the UN General Assembly there will be much more supporters of the implementation process both on the side of decision-makers and in society. As a preparation for the Financing for Development Conference in Addis Ababa, FoRS-Czech Forum for Development Cooperation together with its member organisation Glopolis, launched a media brief at a breakfast for journalists on July 8th, presenting the main issues and putting them in the national context. The brief criticises the lack of the participation of a Czech government´s representative (especially the absence of a representative of Ministry of Finance in the delegation) in Addis Ababa, as well as the insufficient amount of Czech ODA (0,11 % GDP, i. e. one third of its commitments). FoRS was represented in the official national delegation to Addis by its Executive Board President from Glopolis, who contributed to the final Czech position, which recognised importance of domestic resource mobilisation for sustainable development and encouraged the international community to elaborate more on the international tax reforms at the global level. FoRS also supported the participation of a journalist writing for a national renowned weekly magazine contributing thus to raise awareness of the Czech public on global development issues. FoRS is now preparing for the UN summit in New York. Here, the platform will be represented in the official national delegation led by the vice-prime minister and will send another participant in side-events. FoRS will also provide an input for the Czech vision on SDGs to the Czech government, especially on the topics related to the development cooperation. In addition, since last year, FoRS has been engaged in a dialogue of development, environmental, social, educational, NGOs working with migrants and other Czech NGOs about a joint vision and requirements for the Czech Republic implementation of the Agenda 2030. As to the December climate summit in Paris, FoRS cooperates with the association of environmental NGOs, Green Circle. Current critical refugee crisis and its insufficient and inadequate attention at the national level woken up a huge interest from FoRS members to discuss the situation and to search for ways of joint action. This debate took place on August 26th and the participants –members of FoRS-Czech Forum for Development Cooperation as well as NGOs specialised on migration in the Czech Republic- shared their experiences, opinions and good practices. 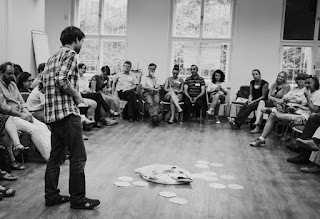 They identified several concrete topics of concern and of interest in cooperating, e. g. to work on proposals for more system solutions addressed to national policy and decision-makers, to improve ways of communication with haters and the media, to exchange experiences with the discussion about migration in schools, to include foreigners living in the Czech Republic in policy and decision-making processes and to make proposals on how to address migration in the framework of development cooperation. The first half of year 2015 marked the time of the Latvian Presidency of the Council of the EU. It gave opportunities to Latvian Platform for Development Cooperation (LAPAS) to cooperate actively with other European platforms and civil society organisations working in the field of global development, to accumulate knowledge and experience, talk to wider audiences about the challenges and opportunities of development and to advocate for aid quality and effectiveness in the Parliament and ministries in Latvia. 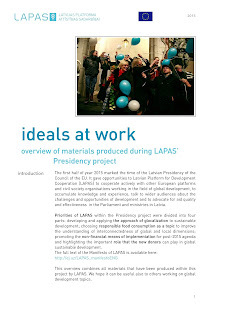 Priorities of LAPAS within the Presidency project were divided into four parts: developing and applying the approach of glocalization to sustainable development; choosing responsible food consumption as a topic to improve the understanding of interconnectedness of global and local dimensions; promoting the non-financial means of implementation for post-2015 agenda and highlighting the important role that the new donors can play in global sustainable development. The full text of the Manifesto of LAPAS is available here. 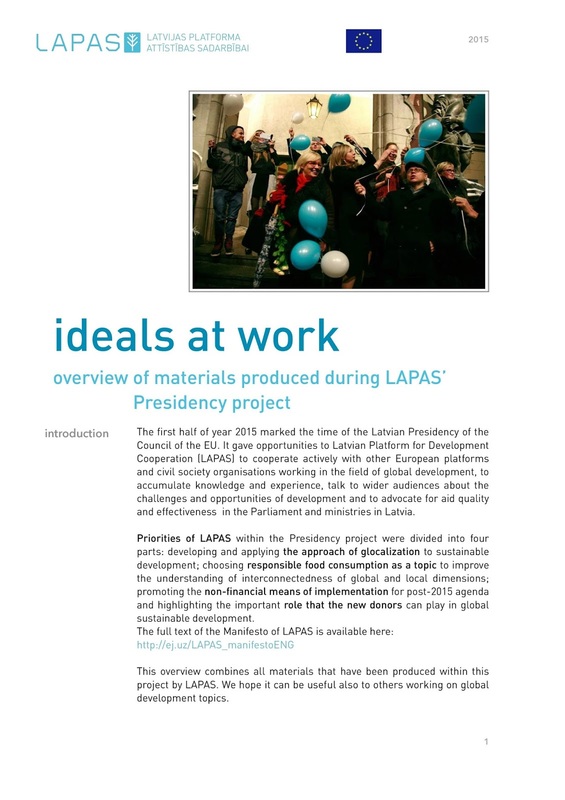 In a report, all materials that have been produced within the EU presidency project by LAPAS are made available. Download the report here. How best can we employ development education and awareness raising as a tool to address systemic transformation challenges? The last big conference under the DEEEP project will be the perfect opportunity to take stock of “The Best of Global Learning” from 28-29 October in Brussels. Based on the ‘Art of Hosting’ methods and highly participatory appreciative enquiry, the Grand Finale event, organised jointly with EUCIS-LLL, will harvest 12 years of DEAR experiences from all around Europe. It will allow participants to positively inquire their experiences and learn from each other’s as they have probably never done it before. At the end of this learning journey, you will be invited in the evening to celebrate collectively the biggest achievements of the DEEEP projects and let these key moments revival in a convivial and festive atmosphere. Join the event to learn and celebrate! Registration is open until October 14th. 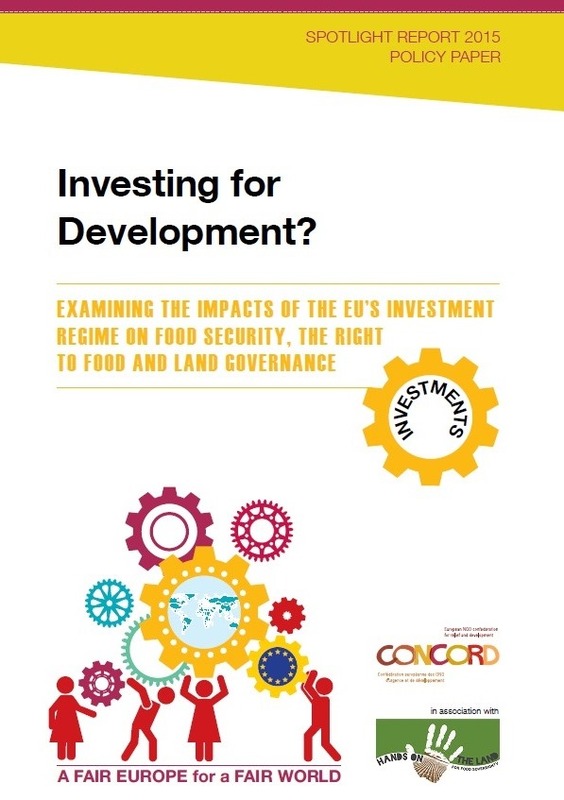 This year’s Spotlight Report „Investing for Development?“ takes a close look at the impacts of the EU’s investment regime on food security, the right to food and land governance in developing countries. 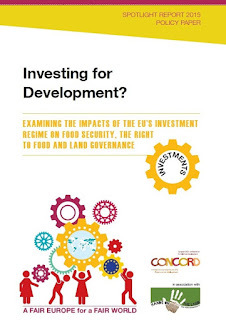 The peport reveals that the dominance of the corporate private sector-led approach in both the European Union’s (EU) investment regime and development cooperation framework adversely impacts the food security and the livelihoods of small-scale food producers, women in particular, in developing countries. Published by the CSO Partnership for Development Effectiveness (CPDE), this report is a global synthesis drawing on contributions from 23 selected country CSOs (incl. 4 European ones: Albania, Czech Republic, Germany and Spain) on the current state of development cooperation, CSO enabling environment, and CSO development effectiveness at a country level. The outcomes will feed into the work of the CPDE platform, as well as on the work of its member CSOs around the world, galvanising future policy engagement initiatives at global and country level. The OECD Development Co-operation Report 2015 explores the potential of networks and partnerships to create incentives for responsible action, as well as innovative, fit-for-purpose ways of co-ordinating the activities of diverse stakeholders. 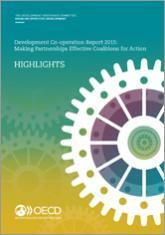 The report – Making Partnerships Effective Coalitions for Action – looks at a number of existing partnerships working in diverse sectors, countries and regions to draw lessons and provide practical guidance, proposing ten success factors for post-2015 partnerships. A number of leading policy makers and politicians share their insights and views.